Earlier this summer, before Queenstown I was back in New York to see family and friends, and to shoot a few assignments. Homecoming is always a highlight of my year, and when I can combine that with a few NY wedding photography gigs - I'm pretty happy. 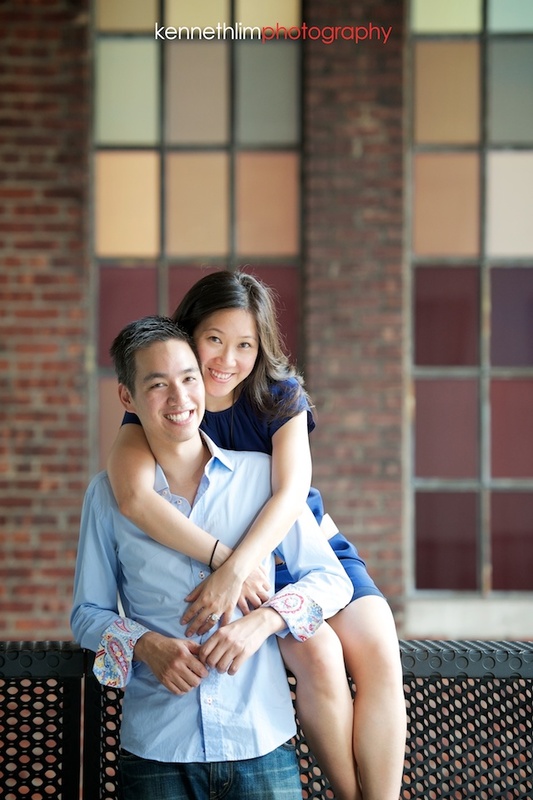 In July, I photographed Ming and Nick, who I first met when we were all young analysts in training nearly nine years ago. Ming and I grew up in Queens, and Nick from Australia. They had been dating throughout our years at the same firm, so I was so happy to hear the news of their engagement a few months ago. 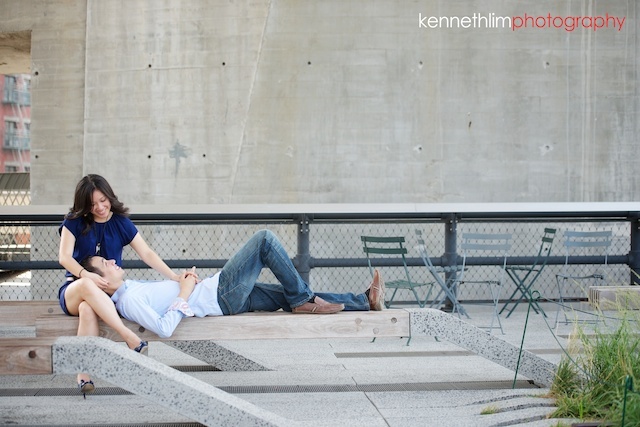 For their engagement photos we woke up early to visit the Meatpacking District, the High Line and the Brooklyn Bridge. 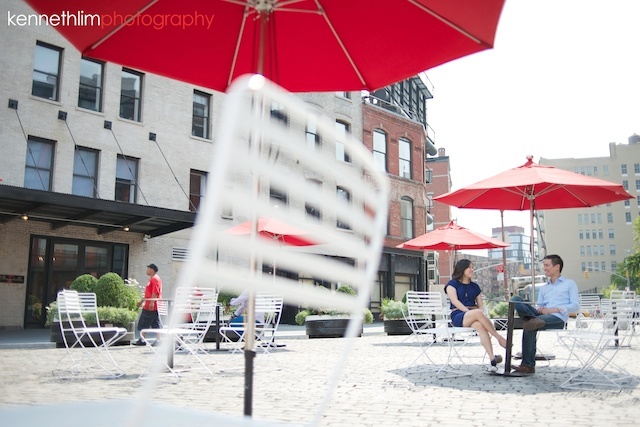 New York based wedding photographers probably shoot there all the time, but since I only get to shoot in NYC a few times a year - I was loving it. And despite the summer heat, I think they were too. Really happy for you guys - can't wait for the wedding!